Actually it was a gorgeous day. 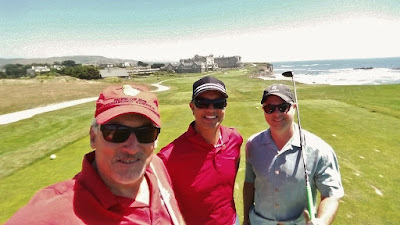 As the starter told us, it was a "Chamber of Commerce" day at Half Moon Bay. Warm, sunny, mild winds (for the coast), exactly the kind of day you almost never see on the coast this time of year. Conditions were great. 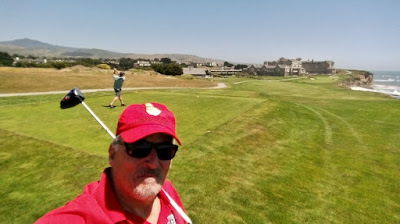 Which just served to remind me how much I hate the Old Course at Half Moon Bay. Let me be clear. I don't hate the entire course. Just the first 16 holes. The 18th hole is great. 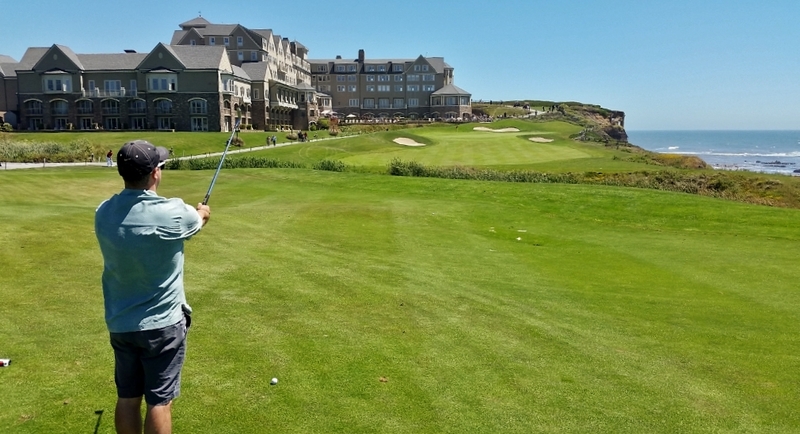 And I like the 17th hole because it gets you to the 18th hole. The 18th is one of the prettiest holes in golf. 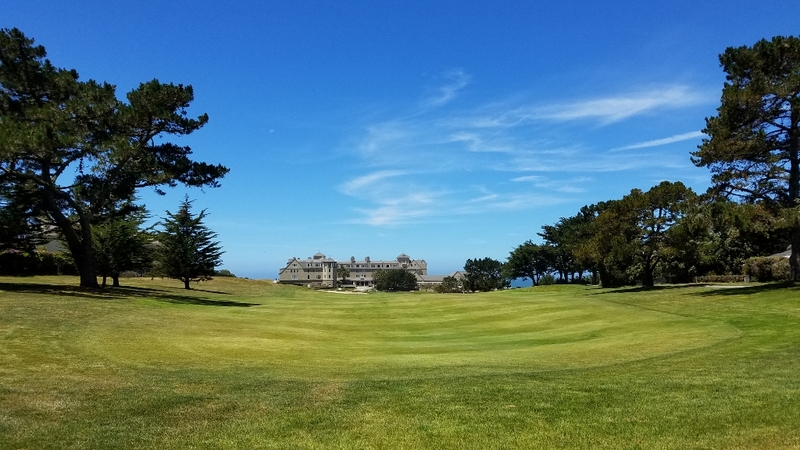 You play along an Ocean bluff and into a castle-like Ritz Hotel where a gallery of hotel guests sipping white wine overlook the green. As far as the rest of the course, you might as well be playing in a suburban housing development in Peoria, Illinois. I only hit one house with one near miss, and no windows. So there is that. This was an OGC event, where the two best net balls per hole wins the tournament for the foursome. We had an unnamed unreliable golfer fail to show up in our group. Okay. It was Other Bob. His absence required the rest of us to rotate hitting a 2nd ball on each hole for scoring purposes. Our team finished -2, 13 strokes behind the winners. I finished with a 118. We'll just focus on pics of the glorious 18th hole and call it a day.